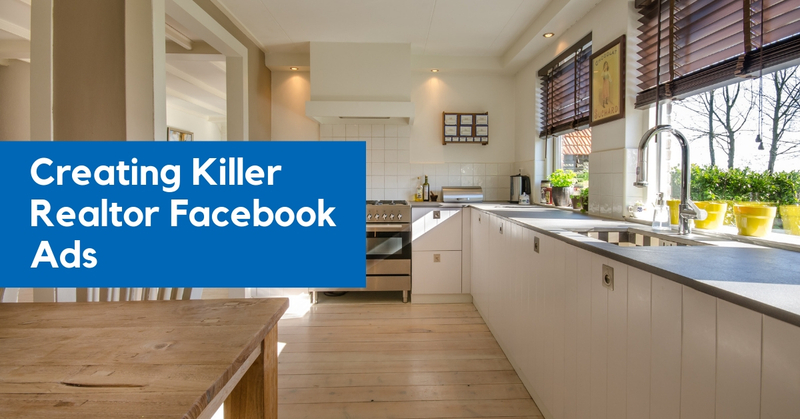 So, we made this great post highlighting 4 creative ways that realtors were using Facebook lead ads, but, we realized, some people may not know where to start when it comes to Facebook lead ads. What good is a top 4 list if you don’t even know how to set up a Facebook ad? So, today, we’re going to go back to the basics. Here’s exactly how to create compelling lead ads on Facebook that act as a prospect magnet. The first thing that any realtor needs to realize is that their practice doesn’t exist in a black hole. Real estate is hyper-competitive, which means that you’re going to have to get strategic if you want to push through users saturated news feed and score some solid prospects. You don’t want the most clicks; you want the most conversions. The easiest (and best) way to make sure that your ads are worming their way through the competition and hitting high-quality prospects is to niche out. You want to appeal to subsets of the population, not the whole shebang. Let’s go through a couple of these niches. There’s a ton of space for you to operate in here. Once you narrow it down to one (or two or three), you want to really hyper-focus in on that target. It’s not that you don’t want any clients outside of your niche, but you’re going to have more hits if you target niches simply due to saturation and price. Facebook ads require you to get realistic fast. You can’t put your ads in front of everyone, and, honestly, why would you want to? You’re looking for hyper-local prospects that have goals that are congruent with your current IDX list. Facebook is too expensive to cast a wide net. Keep your net condensed, hyper-targeted, and appealing. Trust us; you’ll catch more fish. Now that you have a niche, you can start pouring through Facebooks ad options. You can sort by price, area, behaviors, and a ton of other factors to really get the type of prospects that you want. So, for example, let’s say we want to target luxury homes for families. First, we’ll want to sort by age and income. Next, we want to go out and pull relevant statistics. A quick Google search pulls up this study. Sure, it doesn’t include statistics for luxury homes, but it does include age statistics for luxury furniture. It’s an excellent place to start testing. So, we’ll want to hit Gen Xers. Now that we know what age we’re looking for, we can begin to add in additional metrics. Location is (obviously) important, but so is how long they have owned their home. If it’s less than 6 years, they probably don’t want to move — that’s standard. So, once we finish, we’ll have something that looks like this. Facebook ad targeting GenXers who live in your area, make over $400,000 a year, have owned their home for 6 years or less, and so-on-and-so-forth. Don’t just copy paste this, adapt it to your market. If you’re in Silicon Valley, you’ll want that to be Millenials, and you probably won’t care how long they’ve owned their home. As you go through Facebooks options, you’ll find a ton of metrics you can tweak. You can get insanely specific. Warning! Avoid using Facebook’s realtor specific behavioral data with things like “Ready to Move.” These options usually pull high-end data from Facebook, and, ever since Cambridge Analytica, that data seems to be stale from our experience. It’s best to avoid any of the options that pull from too many sources. Stick to stuff like income, area, etc. This is where your creative side should be shining. Check out our last post for some great examples of hyper-creative Facebook lead ads that realtors are using. Here’s where you want to get unique and really try to set yourself apart from the competition. Sure, you could just pop your IDX data on an ad that says “buy home plz!” but that’s not ideal. You want to remember your niche and create an ad that’s targeting them using a lead magnet. What’s a lead magnet? A lead magnet is anything that draws leads onto your landing page. Usually, this is something that’s free — like a home evaluation. But, it could just be the way you’re positioning your ads. If you set up that luxury home ad, you would want to draw them in by offering them free tours or even a lunch. This is the first part of your ad. You want to say something that makes users stop scrolling. This is the “Are you ready for a life of luxury!” quote. You want to grab the attention of those in the niche you chose in the first step. Typically, this is the lead magnet. You want to offer something that the user will find valuable. Maybe that’s simply the ability to look through some photos of homes, sure, but it could also be something as simple as a free eBook. Get your critical thinking cap on for this. Find something that you can offer prospects to get them into your lead funnel. Finally, address customer pain points. Again, there’s area for creative thinking here. What’s the pain point of luxury home buyer’s? Probably the amount of money that they’re about to shell out, or maybe they want to have a 1-on-1 showing. Think about your previous experience and what questions you get asked most often, then, answer those questions. Now that you’ve put this amazingly creative ad up, you’re going to be sitting back and relaxing, right? Wrong! Now it’s time to tweak and adjust. Make sure you’re leading prospects to your landing page. Now, you can check on your overall success on Facebook’s ad manager. What’s your ROI? How effective is one ad vs. another? Have you run an A/B test on the ads? Creating compelling ads is never a one-and-done process, you have to constantly tweak and adjust the ads if you want to get the best value. Once you have a solid lead, you have to figure out how to handle the lead. So, you may want to categorize each lead in order of how likely to purchase they are. You also need to consider your lead response time (here’s a great video) and how you’re dealing with leads. Are you setting up a drip email campaign? Are .you calling your leads or texting them? Your response tactics are another critical part of your lead strategy. There are some great lead strategies out there that can significantly boost your conversion rates. We have gone so far as to create ads specific to users who are high-value prospects and then paid Facebook a few $ a day to target those specific people. You can do that, and it works well. If you don’t feel like you have the time to manage your Facebook ads, response tactics, and your business all at-the-same-time, contact us. We want cutomers to be on your website for the same reason that you’re on ours. We get it; Facebook lead ads take a ton of effort. But, trust us, that effort pays off. We hope that this guide helped some of you. We tried to keep it simple and easy to digest. If you have any questions, comment below!